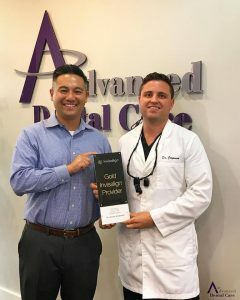 Straight teeth improve oral hygiene and your confidence! Invisalign, where were you when I was 16? If you had braces as a kid, chances are you went to your Orthodontist every other week to have them churn the brackets tighter, and if you were really lucky, change the color of your bands! I still remember the first day I got braces, I was devastated. At 16, I thought it was social suicide! I only had to wear them for a year, and when I got them off I was so happy that my teeth were straight! Fast forward 15 years. I, like many other people who had braces as a child, stopped wearing my retainers after about 2 years. My teeth haven’t completely reverted, but have shifted quite a bit. Well.. there is hope! No churning of metal, no social or career suicides, and no pubescent band color changing. 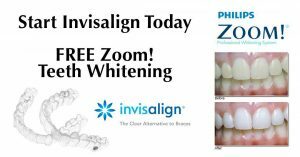 So put that $10,000 traditional braces money back in your pocket and learn about your new option for straight teeth – Invisalign! 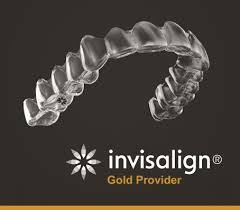 Invisalign is the latest method for straightening teeth and much less expensive than traditional braces. The retainers are clear and removable, meaning no one can tell you have them on and you can take them out to eat and brush your teeth. Let’s learn a little bit more about your the treatment process.